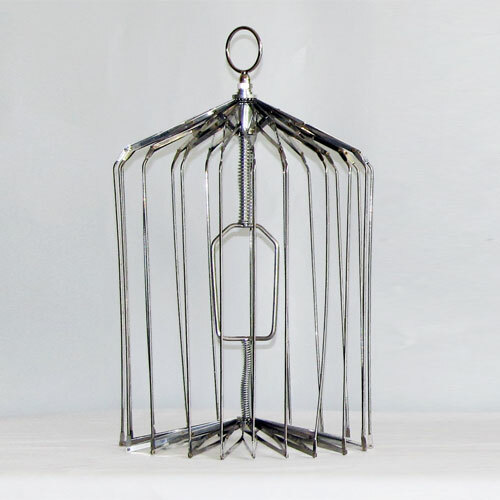 Produce this solid metal cage from silks props anytime during your act. Occupies a very small space! Produce this solid metal cage from silks props anytime during your act. Occupies a very small space! Steel. This cage is an extremely well made prop. I am very pleased ..